The British film institute’s compilation of the sort of films audiences would see in 1914 is of historical interest; by which I mean I struggled to stay awake in some parts but felt it was worthwhile seeing. The highlight was Daisy Doodad’s Dial featuring the first film star, Florence Lawrence (above). Film producers at this time were not in the habit of promoting their actors as stars in the 1900s, arguably in order to keep the cost of the actors down, and also because of some actors’ reluctance to be associated with ‘disreputable cinema’. Audiences, however, had other ideas and fans wanted to know more about favourite actors. Producer Carl Leammle exploited this when planted the story that the Biograph Girl (as the fans knew Florence Lawrence), who he had poached from Biograph, had died in an accident. A week later he placed an advertisement in the St Louis Post-Dispatch suggesting that enemies of his production company had misled the people of St. Louis. ‘Coincidentally’ Lawrence appeared, the following month, in St. Louis to promote her film (sorry, to prove she was still alive). Such mendacious showmanship struck the template for much of the promotion of stars that followed. 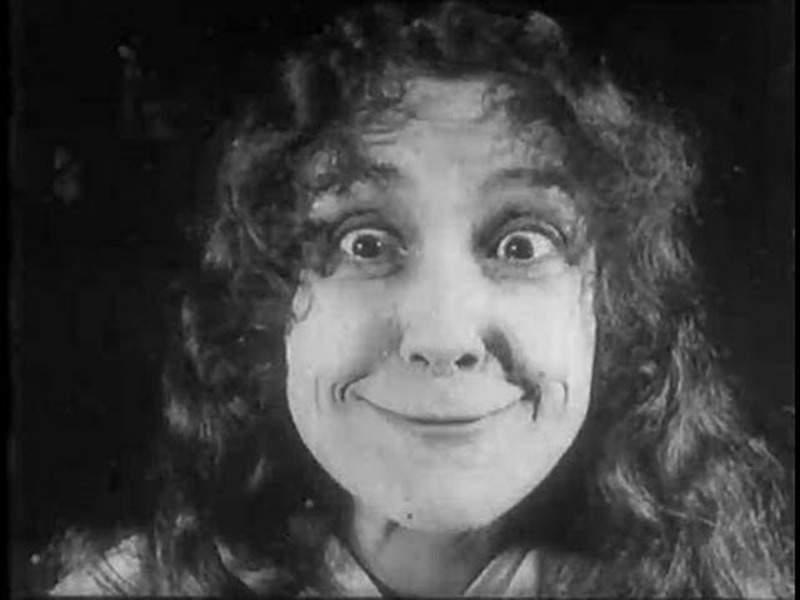 The above is a still from the film, not a publicity photograph, as the ‘Dial’ of the title refers to ‘face’ and the narrative concerns a gurning contest. Lawrence’s Daisy Doodad comes across as a feisty woman and she does the comedy well. The compilation concludes with another star, Chaplin’s early short A Film Johnnie and concerns the tramp, whose familiar persona is not quite fully formed at this point, confusing reality with the film world to predictably quite funny results. Other shorts include The Rollicking Rajah an early ‘talkie’, or ‘singie’; the original was accompanied by a phonograph recording, now lost but recreated for this release. Fred Evans, apparently Britain’s most popular comedian of the time, is featured in the (on one level) dreadful Lieutenant Pimple and the Stolen Submarine. 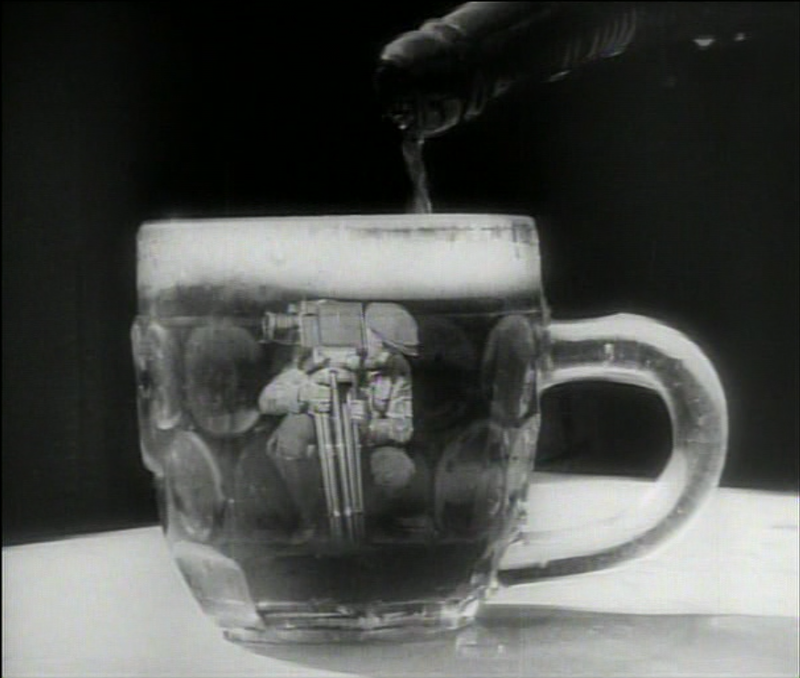 As accompanying intertitle suggests, Evans made a virtue of low budget productions and it is interesting to see the almost ‘home made’ ethos of film-making in the early years. The higher production values of Hollywood soon blasted home grown fare off the screen and we’ve ‘suffered’ under Hollywood’s hegemony ever since. An episode of The Perils of Pauline was slightly disappointing because I was expecting Pearl White (Pauline) to be more of a dynamic hero; though she does shimmy down a rope from a balloon that is at a good height. You can’t judge a series on one film, of course, but she required men to rescue her; another template for today. A number of non fiction shorts were also included, such as German Occupation of Historic Louvain and Dogs for the Antarctic which does what it says on the title and seems to be an early example of product placement for Spratts’ dog cakes. 25 year old Quebecois, Xavier Dolan (above right), is obviously a talent as he’s already directed five features; imdb also has five producer and editor credits as well as four for costume design and six writing! If Heartbeats is full of rather self-absorbed young people then that’s because that’s what the film’s about. I’m probably too old to appreciate such a subject and I am i sure wasn’t like that when I was a twenty something (I’m lying). Stand outs, include the costumes (something I don’t usually appreciate) and Monica Chokri’s Marie, she is superb at the small changes of facial expression that indicate dissatisfaction. Despite Dolan’s talent his direction annoyed me. Faux reality TV hand held re-framings, including push zooms, irritate rather than suggest realism. The film also includes young people, who are not characters in the film, talking heads speaking about relationships similar to the Big Brother post-eviction interviews. Again it may be a generational thing, but I don’t think Reality TV, as an aesthetic, has much to offer film. I do fear for the youngsters of Montreal as most of them seem to smoke like chimneys. 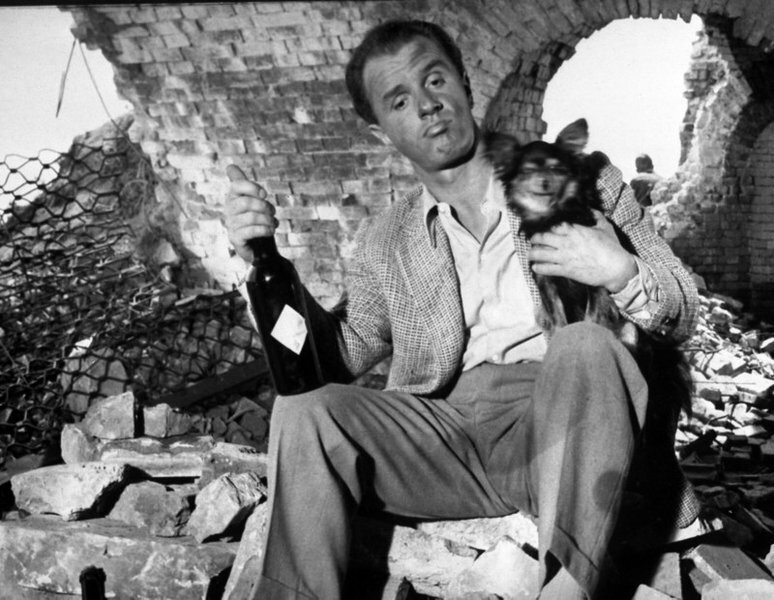 Eroica is an example of the Polish School, films made in the 1950s concerning World War II. 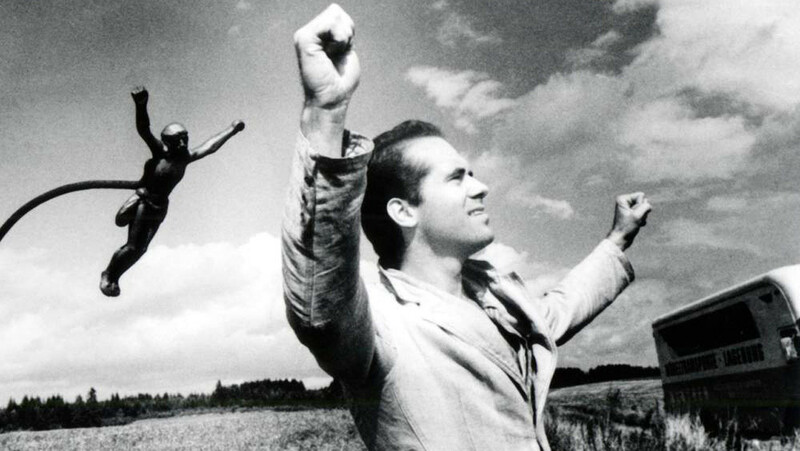 It’s in two parts, originally meant to be three but the director, Andrzej Munk, was dissatisfied with the final section, and tells two stories of heroism. ‘Eroica’ is Italian for ‘heroic’ and, in the context of the film, refers to Beethoven’s third symphony; a brief extract from which is heard at the start of the film. I don’t think the musical reference is particularly important, but the film is clearly about heroism. The first section is a funny tale of a chancer, Gorkiewicz, who we see at the start fleeing from being conscripted into the Polish Resistance; an entirely unheroic action. He blags his way back to Warsaw only to find his wife apparently ‘shacked up’ with a Hungarian officer. Gorkiewicz takes this philosophically and becomes embroiled in helping the Resistance anyway. 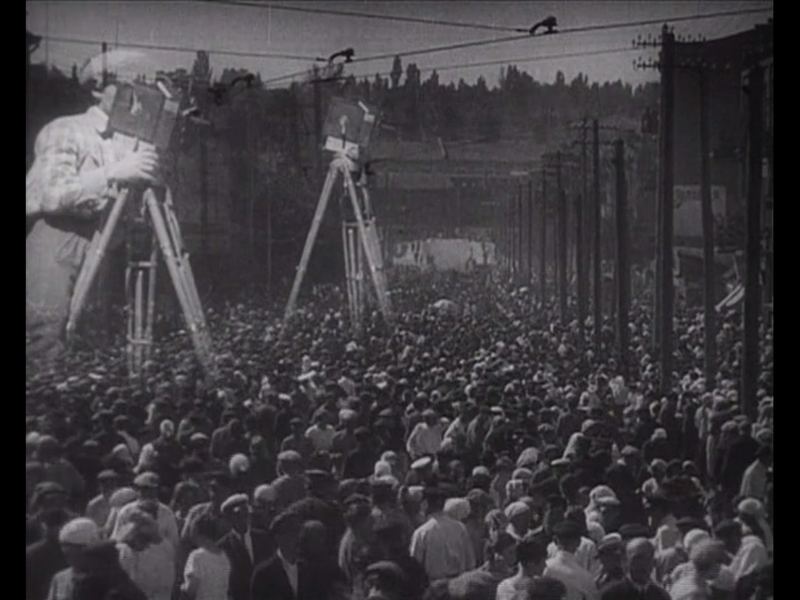 The humour rises from Gorkiewicz’s behaviour as he finds himself in a number of precarious situations. 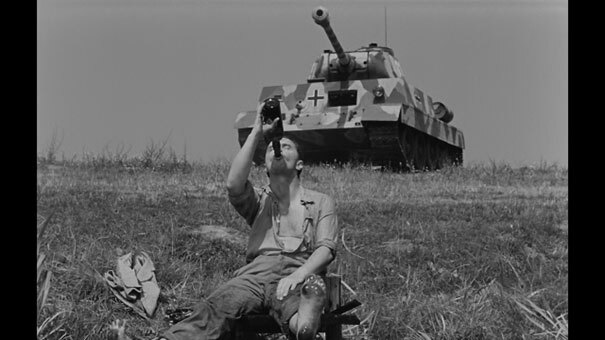 At one point, whilst he’s boozing sitting on a river bank, a German tank fires a volley, making him jump, before moving on its way. The laughter of the German soldiers can be heard; the film humanises the conflict with humour. The second part is sombre and is set in a POW camp. It portrays the relationships of men who’ve been incarcerated for the whole of the war and how they pin their faith on the one of their number who managed to escape. The third part may have balanced the narrative of the film more; just two, basically unconnected, tales are little more than two short films, one after the other. The second film only tangentially deals with heroism. 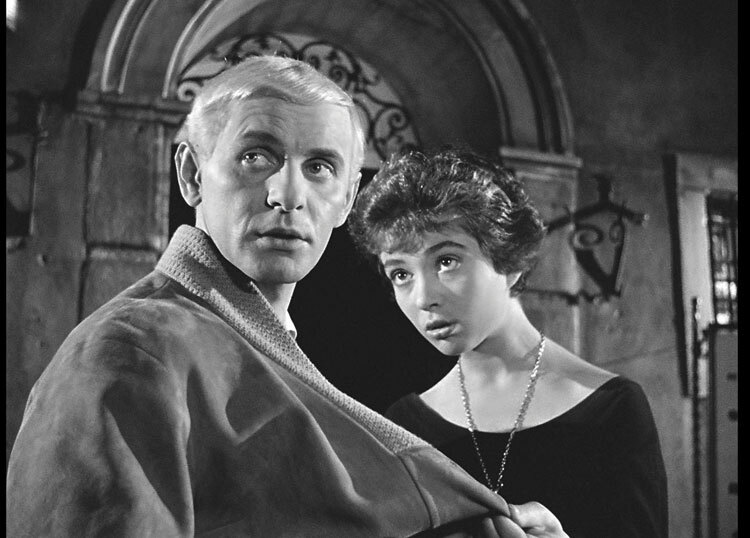 However, it is still an essential to see film if only because of the humour of the first part and some brilliant mise en scene: devastated settings form the backdrop to a number of the scenes. Munk’s career was curtailed by an early death, which was a loss to Polish, and World, cinema. Hong Khaou’s (he wrote and directed) debut film, from the admirable low-budget Microwave scheme, is a touching story of grief and cultural difference. We are introduced to Junn (Cheng Pei Pei, who played Jade Fox in Crouching Tiger, Hidden Dragon), an elderly Chinese woman, although she’s lived in England for many years she doesn’t speak English, who’s been put in a ‘home’ by her son because he wants to live with his male partner. The son knows his mother would disapprove if he ‘came out’; presumably, though it’s not stated, this is as much cultural homophobia as generational. The limited number of locations, due no doubt to budget restrictions, works for a ‘chamber piece’ though the script would have benefitted from a fleshing out Vann’s role. Played by newcomer Naomi Christie, Vann translates for Junn in her conversations with Richard, her son’s lover, and her would-be lover, the cleverly cast Peter Bowles (still the rake in his late 70s). 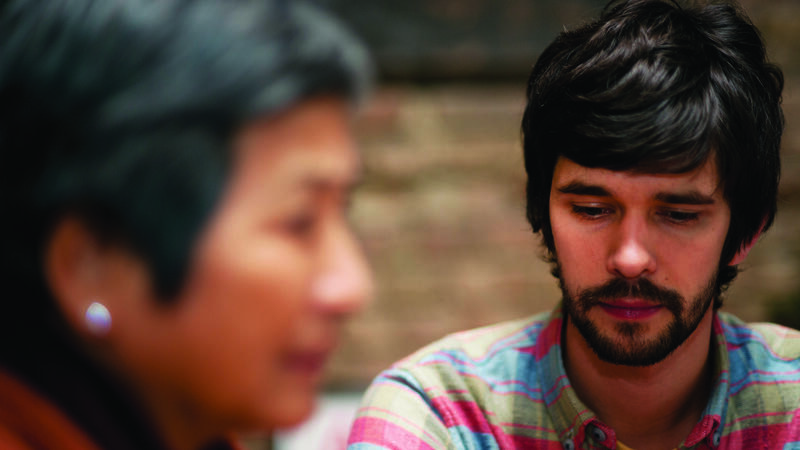 The triumph of the film, however, is Ben Wishaw as Richard. He is an intensely physical actor, though the movements are minimal they are very expressive. It was a coup for the producers to get such a high-profile artist for a low-profile film and it’s worth seeing if only for his brilliance. Dziga Vertov, by the way, means ‘spinning top’.